Our flatbed truck with added toilet trailer enables you to transport portable toilets, fencing, and other equipment in between event venues. On its own, the flatbed can transport up to 10 portable toilets. With the additional toilet trailer, you can transport up to 22 portable toilets at a time. Flatbed truck with additional toilet trailer. 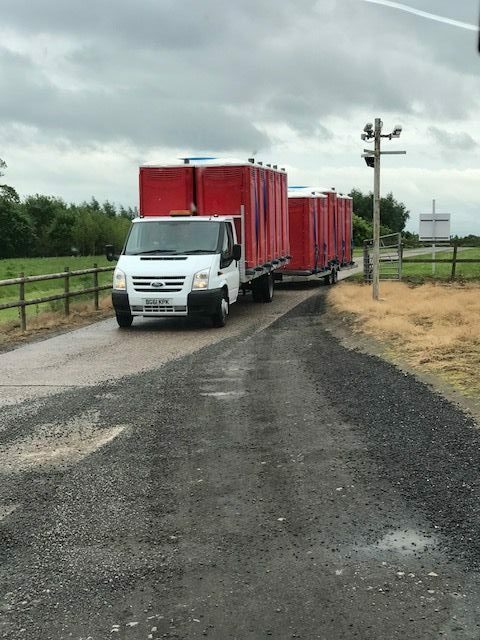 Transport up to 22 portable toilets, fencing or other equipment.